Order lawn mowing and other lawn care services from Charlotte's top service pros. What a awesome job by Michael Gregory. We are very please with his professional work,and we are looking forward for our next lawn care service!!! Thanks again. Second week in a row that the lawn looks fantastic! Thanks so much to Noe and his crew! One less thing I have to worry about because they are doing such a great job! 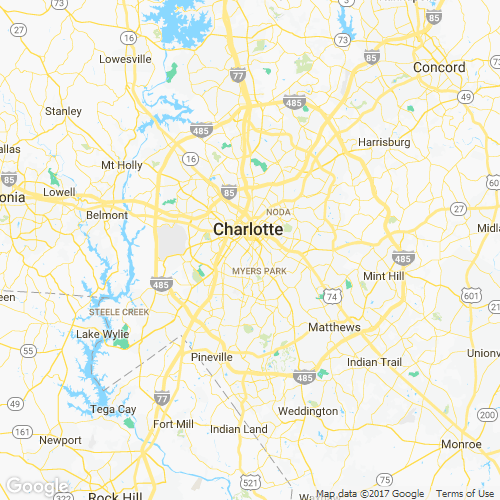 We currently have no rainfall data available for Charlotte, NC. If you haven't put down pre-emergent yet to keep crabgrass and other weeds from popping up, this is a great time to do it! Post-emergent can also be applied now. This bright showy flower is named after the bright red coloring of the Cardinal bird. Be cautious, this plant is toxic if eaten. health benefits: Tea from the root can be used for diarrhea. Orange butterfly weed is a bushy shrub with bright flower clusters providing a voluminous foliage. Frquently grown in residental gardens for its butterfly attraction. We invite you to explore the LawnStarter website for valuable information about caring for your lawn, and we suggest visiting North Carolina’s TurfFiles website for even more tips. Proper lawn care is an art that many people don't understand. I try to treat every lawn that I maintain as if it was my own and LawnStarter helps me keep track of my jobs. They've been a huge asset for my business. We enjoy using LawnStarter's platform because it allows us to easily choose jobs in the areas we service. We are enjoying all the ease and benefits of being connected to customers by networking with LawnStarter. All representatives are truly connected to the clients needs and convey this to us, the service provider. Jacobi came out at on a day that the forecast was calling for massive thunderstorms. This ultimately delayed the time he was able to work on our lawn, but he came out anyway and worked until after the sun went down. The lawn looks great and we highly recommend him! Perfect job! Clyde beat the weather to cut our grass perfectly, and left it long like we like it! My favorite crew! Melissa did a GREAT job mowing my lawn! I would definitely recommend her lawn mowing services! Good job. Could have done a better job blowing off the grass, but overall good work. Overall great just a few places with some tall grass weeds not cut. Advanced Lawn Care Group, Inc.
Jacoby did an EXCELLENT job!!! He was professional, friendly and took a lot of pride in his work. HIGHLY recommend him and would like to have him each and every time!! THANK YOU! Great job. Exceeded my expectations. Marco and team once again did a superb job. Our yard is well manicured. They put everything back in place once completed. The lawn was mowed to the preferred height. I highly Marco. Matt is great. Love his works. Than you Matt. Top notch service from Bradley and his crew!!!! Everything looks really good, James deserves a pat on the back for a job well done. The only thing that could have made it better is if the table and chairs had been moved and mowed under. The Lawntrepreneur Scholarship is our way of giving back to the up and coming young entrepreneurs in the Charlotte, NC area. Thank you Theodore for maintaining my lawn. I have not had the pleasure of meeting you, hope to do so soon. Take care! The crew did a very good job this time. My ultimate goal is to have a yard completely full of green grass. It may also take some landscaping because of some thin areas. Thanks again for a great job! So glad to come home today to a neatly manicured lawn! And thank you for moving my garbage can closer to my home. Real Clean Lawn Care, owned and operated by Dezi Little, is a reputable lawn mowing service in Charlotte, NC. Dezi has completed 219 LawnStarter lawn mowing jobs for 34 customers. If you need a easy to work with lawn mowing service, Dezi is the one for you.